Yahoo has acquired Aviate, a startup that developed a technology to organize the home screen of a person's Android device based on what they're doing. If a person is climbing into their car, for example, Aviate might push a mapping app onto the home screen. If the person is walking into a gym, Aviate would display their fitness apps. The idea is to reduce the time that people spend skimming through apps. The technology uses a device's GPS, Wi-Fi, accelerometer and other signals to figure out what apps to show. 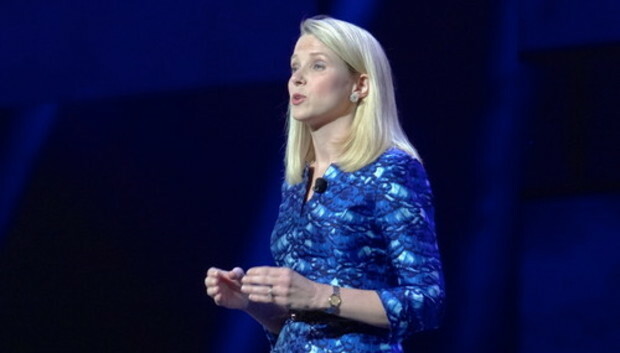 CEO Marissa Mayer announced the acquisition in a speech at the International CES in Las Vegas on Tuesday. Aviate is still in private beta, but Yahoo said it would open it up to the first 25,000 people who sign up for it with a code provided here. The acquisition fits with Mayer's strategy of making Yahoo's services fit more conveniently into people's daily lives. It also gels with the current emphasis on "contextual" computing. "We envision homescreens becoming smarter, more personalized, aware of your context. Aviate helps us bring this vision to life," Yahoo said in a blog post. The company didn't say how much it paid for Aviate, which said in its own blog post that Aviate "isn't going anywhere." Mayer was joined at CES by cast members from "Saturday Night Live"'s Weekend Update, who helped her launch a new app called Yahoo News Digest.